Love the inventiveness of eating the decorations! To think we’ve always just thrown them away, it seems like such a waste! Thanks for the tip about the pumpkin-looking squash, but I’m confused. Do you know what it’s called? It looks just like a little pumpkin and I’m wondering if I could mistakingly buy one, or if it would be labeled as a squash? 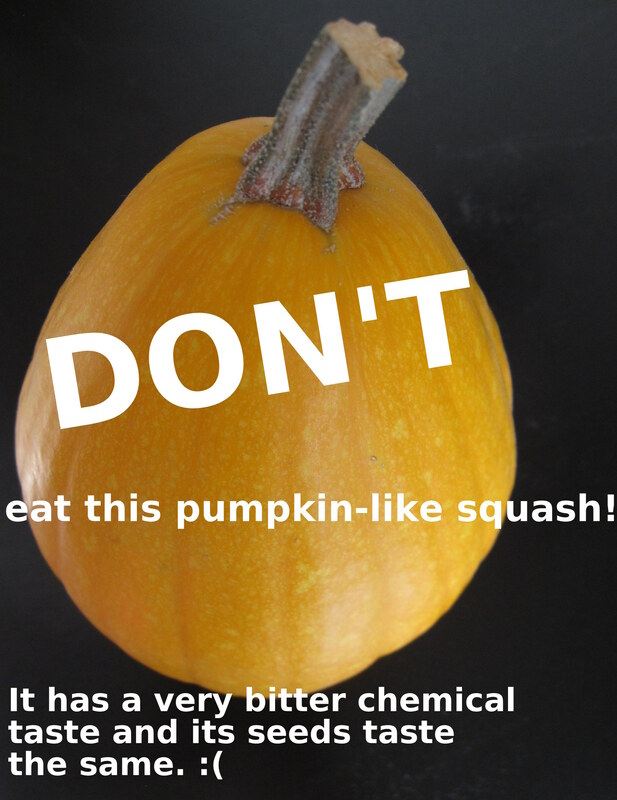 It’s tear drop shaped with very light skin pumpkin-like thing…I don’t know if it’s officially a squash or pumpkin. I’ve never seen them for sale at a supermarket. I think the only way we got it was because our friends grew loads of decorative squash. 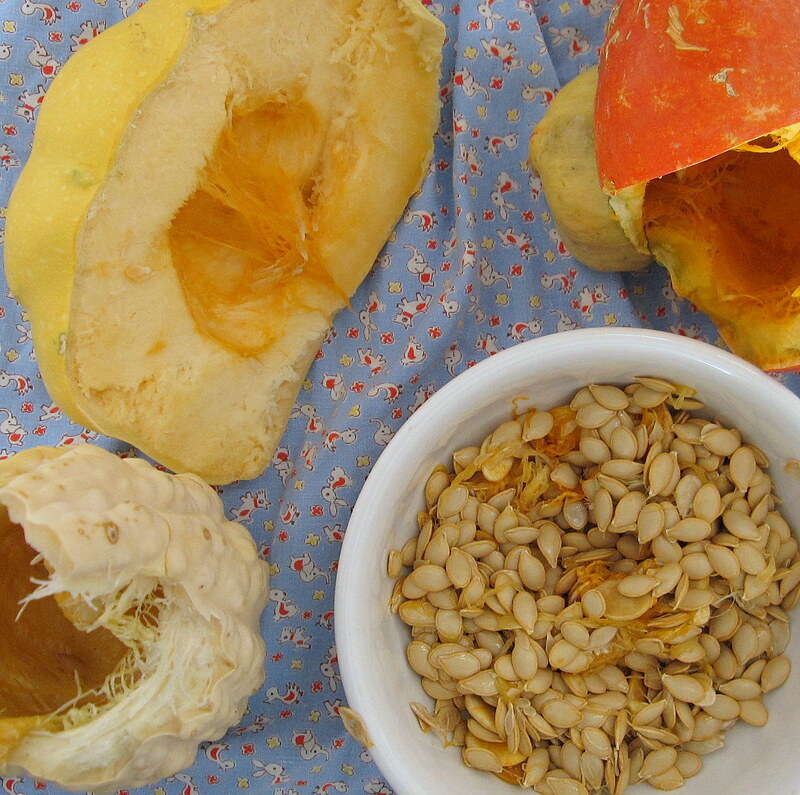 Once I cut it open and encountered its bitter flesh, I was afraid that all gourds and decorative squash might be inedible. 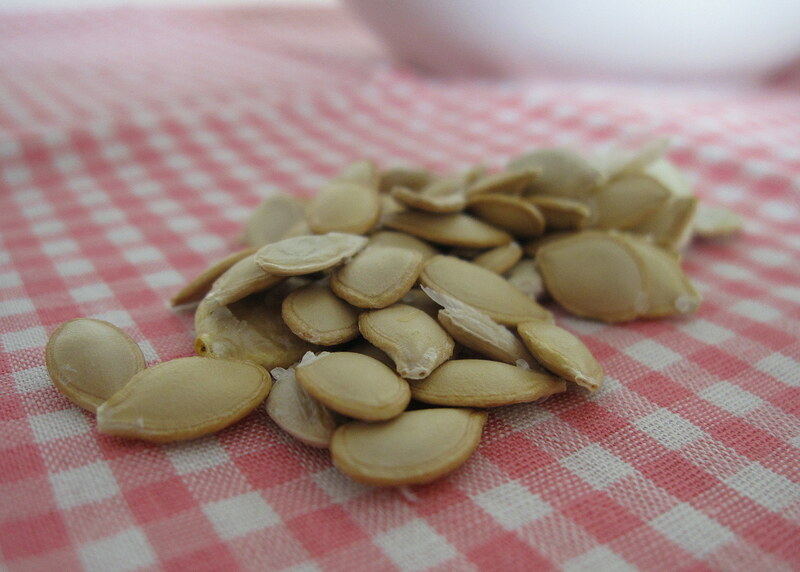 That’s why I experimented to find out if warty gourds are tasty and I found out that their seeds are yummy.